Make time to care for the caregiver. Caring for others can be detrimental to your health. As you manage the needs of others, caregivers tend to drop the ball on their own needs. There are only 24 hours in the day and at least 8 of those hours are spent sleeping. I don’t advocate cutting back on sleep. In fact, if you can, try to get more sleep! You’ll have more energy to power through your day when you are well-rested. We all know how important it is to take care of ourselves. We work hard to make sure everyone else is eating healthy and getting enough sleep. Somehow, we forget to listen to our own advice. I know how frustrating it can be when people say, you need to take care of yourself when you are already overwhelmed. Of course you know you need to do this, but taking care of our health isn’t always easy. Here are small ways you can practice self-care that don’t take too much time and don’t cost much money. You can do these, I promise! Eat Better: I can’t guarantee that I’m going to get all nine servings of fruits and vegetables in everyday, but I try mini healthy eating tricks. I take healthy snacks such as granola bars and bananas with me when I’m on the run. I also keep a bunch of granola bars and trail mix in my glove box. I pack my own lunch when I pack my kids’ lunches. When I don’t have time to pack a full lunch, I throw a banana, tangerine, granola bar and string cheese in my bag. Every little bit helps! Move More: With a 3 year old and 7 year old, I am literally at someone’s beck and call from 6:30 a.m. until school drop off time, then at work until 5 p.m., followed by parenting duties until they are in bed at 9 p.m. This doesn’t leave much time for a walk around the block, much less a trip to the gym. Instead, I’ve started parking my car a block or two away at school drop off. I park in the back of any parking lot I visit and park a few blocks from medical appointments, rather than parking in the lot (saves me money too!). I don’t have a step counter, but I figure that I am adding several hundred steps into my day. Hopefully, it makes a difference in my overall health. Sleep More: While I could get up at 5 or 5:30 a.m. to work out, I choose to sleep for that extra 30 or 60 minutes. Sleep is critical to your well-being – particularly if you have a stressful lifestyle. I struggle with insomnia and have a difficult time falling asleep, so I have made the decision to not rob myself of any sleep that I am able to get. Do what you can to get a good night’s sleep. It will make a big difference in your stress levels and overall health. Nurture Your Mind: Do something for your brain every day. If you go to the left when you enter the grocery store, go to the right. If you take a specific route home every day, take a different one. Do a crossword puzzle. Read a book. It doesn’t matter what you do as long as you challenge your brain regularly. Breathe: While my preference is to get away from it all and go on a Caribbean vacation, that really isn’t feasible. Since you probably can’t get away either, find ways to escape from home. I try to meditate, using an app on my phone. I’m not at the point where I do it frequently enough to show a significant impact on my health, but I always feel better after doing it. Studies have shown that meditation can help reduce blood pressure and improve physical and emotional responses to stress. It’s worth a shot, isn’t it? You can also try doing some simple stretches before bed or writing in a gratitude journal. Focus on the Positive: It can be really easy to fall into a “woe is me” trap when life is difficult. 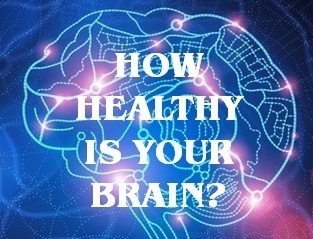 Our mindset can affect our health. Instead of thinking about the challenges and hardships, try focusing on the positives in your life. Even on a bad day, you woke up alive, you have a roof over your head and you likely had enough food to eat. There are many people in the world who don’t even have that. You don’t have to make major life changes to implement a self-care routine. Small changes can make a big difference in your overall health. Over time, you’ll hopefully have less overall stress and can begin to make bigger lifestyle changes. Taking care of your health isn’t a luxury. You already see first-hand how difficult it is to have physical or health challenges as you get older. Take steps to care for yourself so that you won’t need your own caregiver as you get older. What little tweaks do you do to help manage the daily stress and improve your self care?